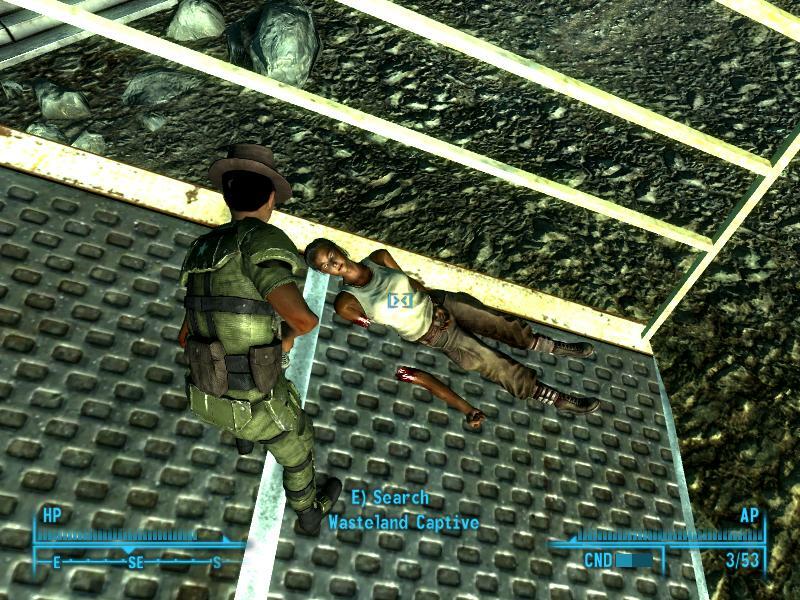 Yet another playthrough of Fallout 3. 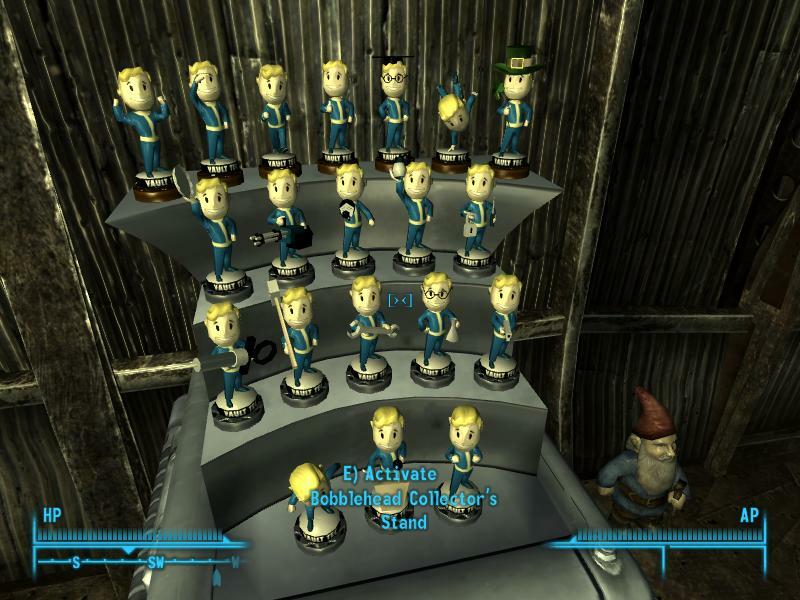 I decided to get all 20 bobbleheads. I got Mysterious Stranger also for the fun factor. It’s goofy fun to watch him show up and nail an enemy. For Mr. Crowley’s quest, I didn’t really want the armor, so I decided to let him get it and follow him. I figured he wouldn’t make it across the wasteland, but lordy, that boy is an iron man. I was sure the Yao Guai would make short work of him, as he hadn’t taken the Animal Friend perk, but he survived several of them and made it all the way to Ft. Constantine. At this point he turns hostile, and there was no way to follow him, even with Stealth Boys. 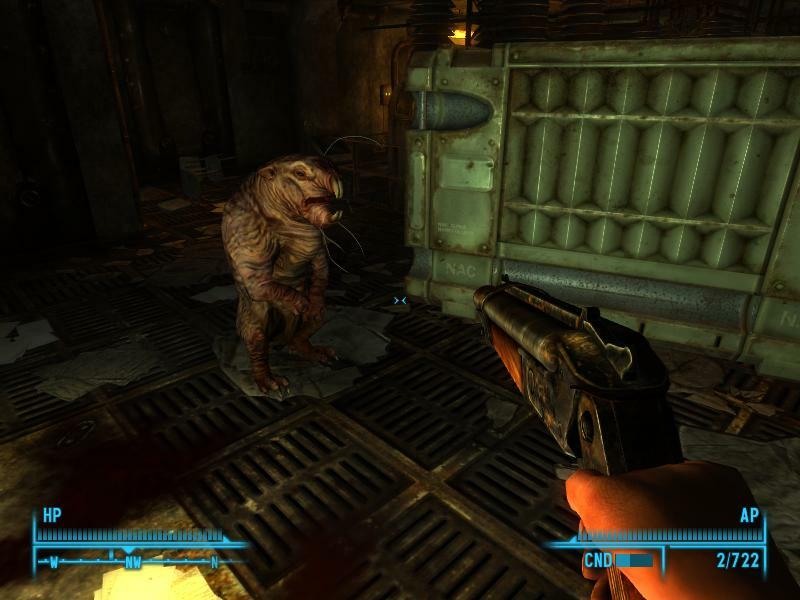 So, well, I have the power armor now, but he shot first. 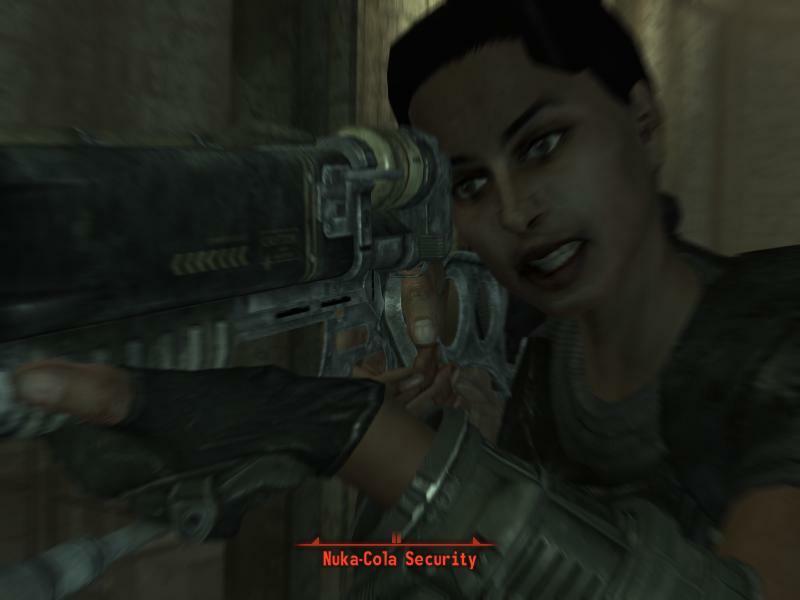 Overall, Fallout 3 is the best and most replayable RPG I’ve tried. It’s about as close to an open-ended explorable world as you can get: you can completely ignore the main quest and still have plenty to do, you can be good or evil, you can even betray your comrades at the end. Not that I did, but the option is there… compare say KOTOR, where by an amazing coincidence light side and dark side give you the exact same agenda for 80% of the game. I loved Oblivion when it came out, and I was replaying it not long ago… to my surprise, I think it hasn’t aged as well. 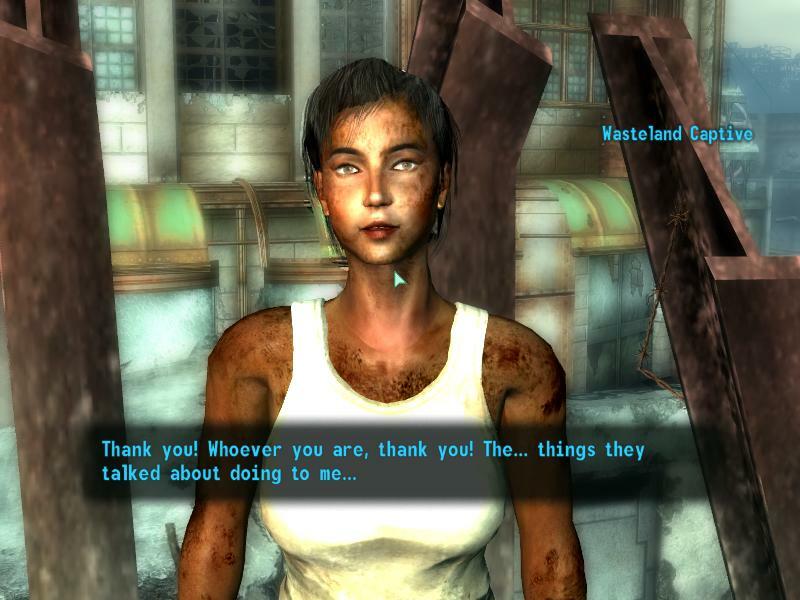 Despite the world-ending threats, it lacks the grittiness of Fallout 3; it’s a pretty little Standard Fantasy Kingdom without any interesting moral ambiguity. I did get a new game recently… well, new to me, it’s been out for years. Unpromising beginning, but it comes highly recommended, so we’ll see.